R/GA London has appointed George Prest, the former DLKW Lowe executive creative director, as its executive creative director. His appointment at the digital agency follows the recruitment last week of planning director Russell Davies, from Ogilvy & Mather, as R/GA looks to strengthen its London presence. Prest, who has been working on a freelance basis for R/GA in recent weeks, will report to Jim Moffatt, the vice president, managing director, at R/GA London and will work alongside James Temple, the vice president, executive creative director. His role is to focus on the "the strategic side of storytelling" while providing creative direction for the London office. R/GA London won a Silver Cyber Lion at Cannes this year for BNP Paribas' "we are tennis" website. The agency’s clients include Nestle, BBC, SC Johnson, MasterCard, Nokia and Nike. Prest resigned from DLKW Lowe in January this year after leading the agency’s creative department following the merger of DLKW and Lowe. He began his career at Bartle Bogle Hegarty, before joining Lowe London, where he rose to become creative director before leaving to take the role at DLKW, only to see it merge a year later with the agency that he had left. James Temple, who was promoted to the vice president executive creative director role in March, said: "George has a proven track record in fusing creativity with strategy, and his ability to sit between these two areas was a key factor in us making this appointment." 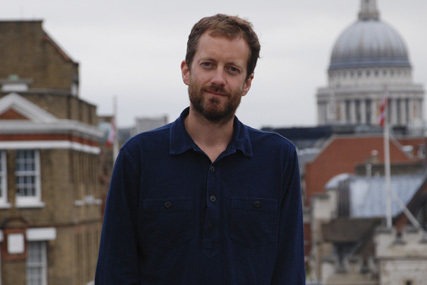 Prest said: "R/GA is the most exciting agency in the world and the London office is on a charge."